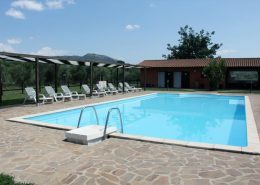 Home - Agriturismo BIO "Le Colline"
Holistic Health Retreat Bio "Le Colline"
Our farm is located in the hills of the Prenestini mountains in Lazio, a stone’s throw from the Eternal City of Rome. A strategic starting point for wonderful excursions to the most beautiful cities of art including Palestrina with Tempio della Dea Fortuna, Tivoli with Villa Adriana and Villa D’Este, Frascati with Villa Aldobrandini e Tusculum, we are just a few miles away from the beautiful lakes of Nemi e Castelgandolfo, and Valmontone with its famous amusement park “Rainbow Magicland“. At “Le Colline” relax and enjoy our holistic health centre with whirlpool, sauna, turkish bath, Kneipp walk (water cure treatment), shiatsu massage, ayurvetico, reflexology, iridology consultant, naturopathy, yoga, Tai Chi Chuan, autogenic training, gymnastics, pilates and personal trainer. We also have a very pleasant outdoor swimming pool and fitness area with gym, weights room, spinning and relaxation room. Feeling good also means eating well and that is why we carefully choose the ingredients that we bring to the table. Simple and genuine mediterranean cuisine meat or cheese based with home grown products: lentils, farro, potatoes and truffles, extra virgin olive oil and fine wines. These are the raw materials that we use in our kitchen, paying much attention to seasonal produce. 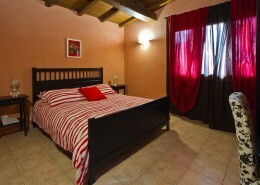 The single, double, triple and quadruple rooms are bright, comfortable and spacious. 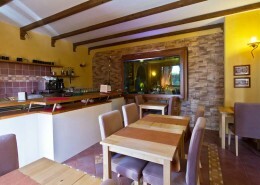 Some also have a private balcony with relaxing views of the hills and mountains of Lazio. Come to “Le Colline” for total relaxation and wellbeing. 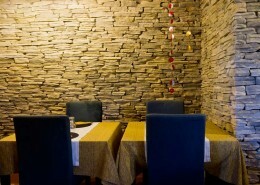 We have rooms for seminars, workshops, private parties and celebrations.